Check in was very easy. Room was perfectly adequate (I didn’t expect five star luxury). Bed was very comfortable and as I had two long working days it was a bonus to have a good nights sleep. Shower worked well enough and there was plenty of hot water. The location for getting to work was perfect. 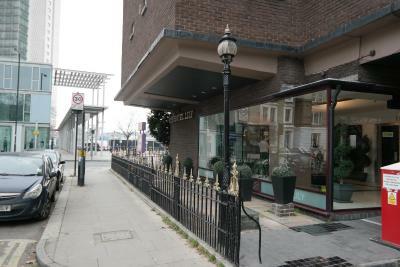 The property was close to a tube station and not far from a shopping area. Good money for value. Breakfast was ok. (One could possibly ask for some vegetables, fruit and yoghurt.) The breakfast service was excellent and facilities fine. 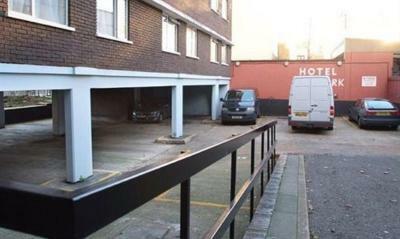 Location is obviously a main factor to choose this hotel. Price is another. The twin room was spatial enough. The shower worked perfect with good flow. Great area. I felt very good in this hotel. I would return here. The website for this hotel is false. It is an absolute dump. The good thing is about property is very close to tube station. Good location, station a few yards a few pubs nearby. Unfortunately there was nothing positive about the 20mins I stayed in the hotel. 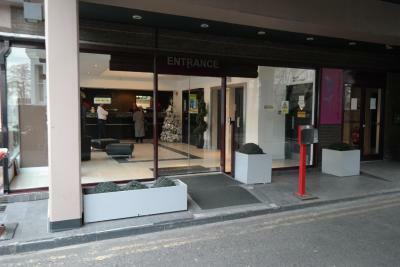 Opposite Earl’s Court Exhibition Centre, this hotel offers en suite rooms at great-value rates. 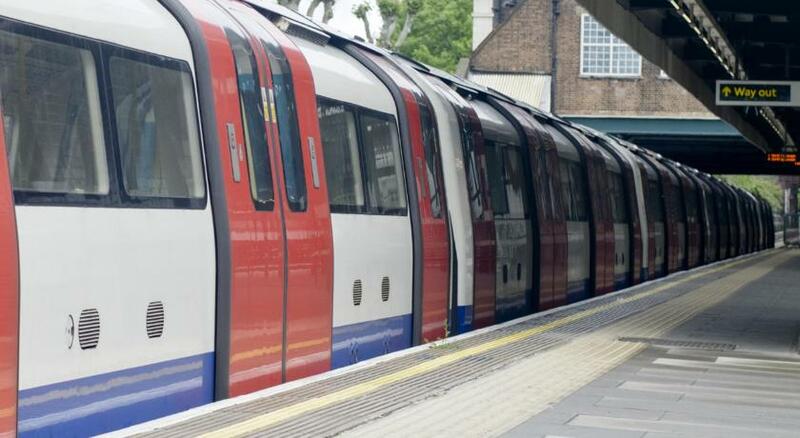 West Brompton tube station is a mere 100 yards away, while Earls Court tube station is 5 minutes' walk. Free WiFi is available throughout and on-site parking is available for an additional fee. 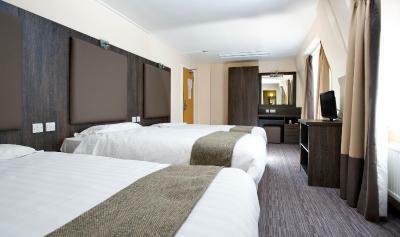 All of the en-suite rooms at Hotel Lily feature a TV, telephone and tea/coffee facilities. Guests can start the day off with a selection of breakfasts, from toast and preserved to a full English breakfast. 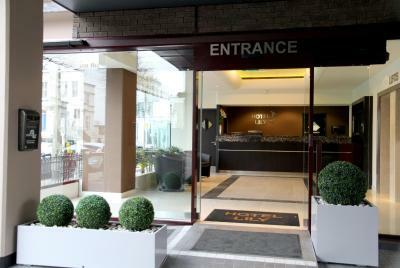 Hotel Lily is less than a mile (1 miles) from Olympia Exhibition Centre, while Stamford Bridge, the home of Chelsea FC is just 700 yards away. The Queen's Club Gardens is 0.6 miles from the property, and Wimbledon Tennis Club is 4.3 miles away. Hotel Lily has been welcoming Booking.com guests since 18 Feb 2009. 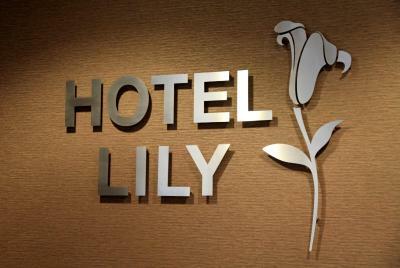 When would you like to stay at Hotel Lily? This room features a private bathroom, a TV, and tea/coffee making facilities. A complimentary English breakfast is included. 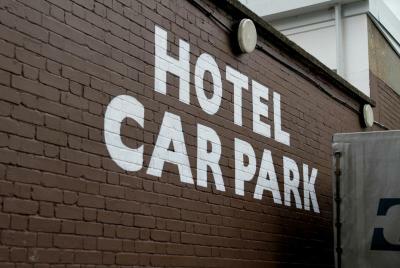 Public parking is possible on site (reservation is not possible) and costs GBP 20 per day. Hotel Lily was built in 1971. 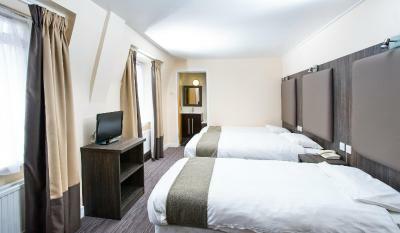 It is a purpose built hotel recently refurbished. Hotel Lily is very close to the underground and has very good transport nearby. 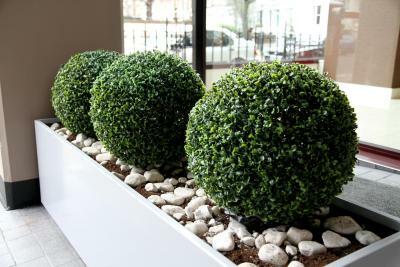 It is close to the Olympia Exhibition Hall, Chelsea Football Ground, Harrods and many nice restaurants and pubs. There is an EasyBus from Gatwick just outside the hotel. House rules Hotel Lily takes special requests - add in the next step! Bankcard Hotel Lily accepts these cards and reserves the right to temporarily hold an amount prior to arrival. Hotel Lily accepts these cards and reserves the right to temporarily hold an amount prior to arrival. Parking costs GBP 15 for cars and GBP 20 for vans. This includes parking from time of arrival to 11:00 the following morning. Please note that parking spaces are limited and are on a first-come, first-served basis. There is a charge of GBP 5 per luggage item storage after departure. Not much really. The hotel could do with freshening up a bit but that would undoubtedly raise the cost. The breakfast time is just two hours. I did not get the wifi to work. The staff in the reception was perhaps not the most charming and the communication did not breathe "service mindness", although no issues. The all too heavy scent of chlorine upon arrival signalled "clean", but isn't too nice. Breakfast was very quick and service was perfect. The breakfast was appalling, there was holes in the bed and the walls were stained and the paint was peeling off. There was a burn mark in the leather on the head bored and the amount of dust and dirt in the windows looked like they had never been cleaned. Also the bedroom was freezing cold at night, the heating wasn’t on. The dining room for breakfast all there was to heat the room was one small plug in heater. It was close to where I was going that evening. The heating could have been turn on. 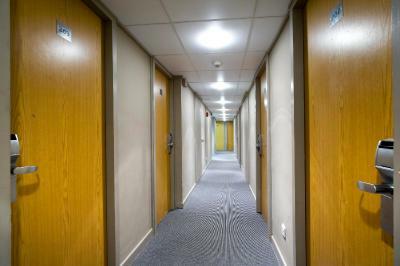 From the lift, to the smelly corridors, outdated carpets, wet walls. I couldn’t sleep the first night as the heating was turned of. Went to complain and met 4 other guests who were there complaining for the same thing. The receptionist couldn’t do anything as he didn’t have access to the system room but he was kind enough to provide extra blankets which honestly didn’t do much. I have never been so upset and frustrated in any hotel I have been to. The window was another problem, was difficult to shut. Hall way smelled of mixture of weed and old dust. Loud unbearable noise from the other rooms. The telephone in the room is as good as none. Worst of all was the shower!!! I had to make use of an empty bottle to fetch water as I was very desperate to clean my self. Leaning your property in the room is at your own risk. The bed was so uncomfortable. The toilet seat needs replacement. Rooms so tight you could hardly move. There could have been a lot of potential in this place but the management is too poor!!! The mattress was a bit soft. The staff was really friendly. The cleanliness of toilet. It was smelly even walking on stairs and corridor. The lift must be repaired, because it’s quite doggy. As you enter if you use the left Lift. Even if you press 2, it doesn’t take you to second floor and we ended up on third floor twice. Then we used the second lift on the righthand side. A lot of noise from rd traffic. What I would have paid for 1 night at Ibis , I got 3 nights here. So basically it was cheap. You get what you pay for.